This morning a few CSI team members returned to the hospital to do the final round of discharging patients, and make sure we had all of our supplies packed up. When they got back to the hotel, we loaded up our bus, and were on the road back to Dhaka shortly after 8 AM. Thankfully, we had a much shorter bus ride than last year’s team (21 hours due to the holiday Eid), and arrived safely at the Dhaka Regency around 3:30 PM, with time to relax before dinner. The RCMC Hospital CEO, his wife, and other guests came to the hotel’s Restaurant to have a delicious buffet dinner with us on our last evening together in Bangladesh. It was a bittersweet dinner as we all began to say our farewells. 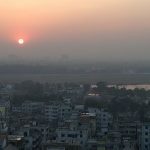 In the morning, about half of the group will be traveling further south to Chittagong for a few days on the beach before returning to the States. The rest of the team has been invited over to Raj’s family’s home for lunch before heading to the airport. All in all, we had a fantastic and very successful trip thanks to all of the RCMC Hospital staff and administration, the people of Bangladesh who have assisted us along the way, the CSI team members here in Bangladesh, and support from everyone at home. Today was our last day of surgery, and finished up the last 8 cleft lips on our schedule. It was a hectic day as we had to simultaneously had to operate, finish CPR training, pack up the ORs and all of our supplies, and say our goodbyes to all the hospital staff we had worked so closely with throughout the week. We will also miss the creative energy of all the patients and their siblings livening up the ward. It was tough to let go. Heather, Norie, Saira, and Aliza transitioned care of the remaining post-operative patients to the RCMC hospital nurses during their final night before discharge. As the CSI team began to finish up at the hospital, a few decided to go on another rickshaw tour of Rangpur. We got a great feel for the city, and they took us to the Rangpur Zoo. 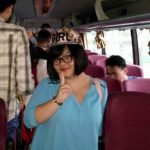 The Zoo had a beautiful park, and a wide variety of animals, however we noticed some cultural differences in how locals interact with the exhibits. We wrapped up the evening with a ceremony to recognize all of the hospital staff and administration’s hard work throughout the week. We handed out certificates of appreciation and certificates for completing CPR training, in addition to holding a raffle. The big hit of the night were the traditional Bangla folk dances that ended with the entire CSI team awkwardly joining in. It was definitely a highlight of the week to all watching. We ended the evening with a dinner back at our hotel (RDRS) with a select few hospital administrators. It has been a long, but very rewarding week. Tomorrow we sadly will begin our travels home too soon. This morning, we started off with a hearty breakfast of bananas, shuzi (a porridge), luchi (fired puffed bread), alu bhaji (a spiced hashbrown dish), rolls, omelets, cha (tea), coffee, and an interesting assortment of juices. And then headed to the hospital for another full day of cleft lip and palate surgeries. Throughout the day, our CSI Team has had endless opportunities to bond with the hospital staff, surgical patients, and their families. On our way home from the hospital, instead of the usual walk or van ride, some of our staff decided to take a tour of Rangpur via rickshaw. Tomorrow is the last day of surgery, and will be one of the busiest yet. After surgery we will quickly pack up, have a celebration with the hospital staff and prepare to return to Dhaka the following morning. We woke up bright and early this morning, and found ourselves in the Nationwide section of the Rangpur newspaper! Then we were off to the hospital to begin our day. All week we have been working on the 5th floor of the Rangpur Community Medical College Hospical, where we were able to have pre-op, two OR rooms, storage, post-op, PACU, and the ward all in one area for our convenience. As our day began, Nurse Dody continued her CPR class for the local nurses and staff, who completed their training. 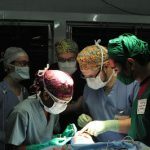 Dr. Tim, Dr. Andrew, and Dr. Raj continued surgeries today, completing 7 operations including a mix of cleft lips, palates, and one facial cleft. Everyone was excited as local surgeons began successfully performing surgeries of their own. On the ward, the floor nurses and pediatricians held a discharge meeting with all of the parents of the children ready to head home. They answered questions and addressed any concerns the parents had, and also explained medications and proper home care to ensure the comfort of the kids. Exhausted from a long day, we returned from the hospital, had a delicious dinner, and fell quickly asleep. We got off to another early start, feeling somewhat refreshed after a long day of surgeries yesterday. Upon arriving to the hospital, we received an update from our night nurses and interpreter, Maria, Aliza, and Molly. 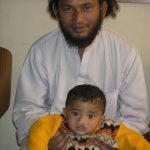 As the day began, one of our first surgeries was a facial cleft. 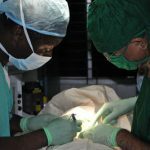 For four hours, it required the skills of two of our surgeons, Dr. Andrew Scott and Dr. Rajanya Petersson. It was an amazing transformation that will forever change the life of a five month old child. Once a child’s surgery is finished, our anesthesiologist, Dr. Zipporah Gathuya, and the anesthetist from the case takes them to the PACU (Post Anesthesia Care Unit) under the watchful eye of our nurses and pediatricians. Once the patients wake up from surgery in the PACU, they are given a baggie full of goods, including a homemade stuffed animal, blanket, beanie baby, and hygiene products. The kids’ reactions to the gifts never gets old, their stuffed toys never leave their sight. Once a patient is stable, they are taken to the ward where Nurse Heather, Nurse Norie, and other hospital staff eagerly await to see the final results. Finally, once the child is able to tolerate soft foods and drinks, they are prepared for discharge. Our staff sits down with the family and addresses plans for care at home. On our way home, we had the opportunity to visit a few departments of the local Government hospital. Walking through the CCU (Cardiac Care Unit), we learned that it cost around 70 taka per night, about $0.90 in the United States, an amount that can be difficult for some locals to afford. Overall, we had a successful day completing 7 surgeries, continuing to screen a few new patients, and continuing CPR training with the medical staff, while continuing to make a difference in the future of the Rangpur Community Medical College hospital. We were off to an early start this morning, finished breakfast and arrived at the hospital by 7:30, only to find out there are some cultural differences in the concept of time. In any event, three operating tables were put into action and began the first of eight surgeries today. Meanwhile, while the postoperative team prepared for the arrival of their first patients, Nurse Dody taught CPR to a group of local nurses and other staff. We had a successful day of eight surgeries, with a mix of cleft lip and cleft palate repairs performed. We were also able to screen today a few new patients and have added them to the schedule for later in the week. The patients are all recovering nicely, as is the medical team. Our night crew has taken the reigns and we’re all prepared for another busy day tomorrow. Today we continued our travels after a much needed night of sleep, and boarded a bus to Rangpur. Traveling through the outskirts of Dhaka and the countryside the struggles of the people and the challenges of the country are apparent; terrible living conditions, pollution, overcrowding. There is hope for the future of Bangladesh. As the ambassador shared with us, families in Bangladesh are allowed to have the family size they desire. The fertility rate is only 2.1 children per family, which is essentially a stable population replacement rate. 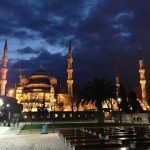 Because of current momentum the population is expected to continue to rise from the current 155 million and to peak around 200 million. Note this is all in an area about the size of Iowa. Bangladesh has recently become independent in rice production, growing enough to export a surplus. And within the next ten years, they are expected to become entirely food independent. On the side of the road one can also witness many Bangladeshis at work, such as sawmills, construction, welding, brick making, woodworking and craft making. The recent horrific fire in a Dhaka textile plant highlighted the deplorable conditions for workers here. However, the political response both local and internationally may be building momentum for change. We received a flowery and passionate welcome by the staff at Rangpur Community Medical College hospital. Our greeters included the Minister of Director for Rangpur District (northwest Bangladesh), professors, presidents, and many other dignitaries dressed in fine suits. After the ribbon was cut (we’re not quite sure why there was a ribbon), and the flower petals were tossed, we set off to work. Prospective patients from all over the region arrived, many boarding in the hospital awaiting our arrival. The surgeons kicked off the process by evaluating the patients; once cleared for surgery they had a medical record created by CSI staff. The CSI nurses involved and trained local nurses while they did their assessments, and the pediatricians worked with local dentistry interns who acted as interpreters. It was a successful day; every patient who arrived for screening was seen and we have set up our plan for the next five days. Surgery starts tomorrow morning. On January 15th, 17 members of the CSI Team left from Minneapolis, 3 from Iowa, 1 from Virginia, 1 from Massachusetts, and 1 from Kenya. Today, on the 17th, we have all safely arrived in Dhaka, Bangladesh. En route we had a layover in Istanbul, Turkey, and a group of us took advantage of the opportunity to see some of the sites around the city. After 30 + hours of travel, we had a short 20 minutes to check in to our hotel in Dhaka, freshen up, and prepare to meet the U.S. Ambassador of Bangladesh, Dan Mozena. We met with Ambassador Mozena for an hour at the American Recreation Association, Fazly (our logistics coordinator) and Dr. Tim Lander (our lead surgeon) shared CSI’s history and details about our current trip to Rangpur. The Ambassador gave us a vibrant speech sharing Bangladesh’s past, present, and future, highlighting the strengths and beauty of Bangladesh and challenges of its people. He helped us understand how a CSI mission reaches beyond surgical procedures and education, to serve as an important diplomatic role in how America is perceived in Bangladesh, South Asia, and the greater Muslim world. Bangladesh has the fourth largest Muslim population of any country in the world and is the seventh largest country by population. And now despite being more physically exhausted than thought possible, we have a renewed sense of strength and spirit as we head to bed, and prepare for our travel to Rangpur tomorrow. Couldn’t resist photographing these precious little toes. After surgery, the children go to recovery, where they are covered with blankets, made by the many csi volunteer, sand monitored until they wake up. Then the moms are called in to comfort them. The days are packed! As of today we have performed 74 surgeries and screened many more potential patients as the fact that we’re in town is spreading. The list of patients for next year’s return has been started. We had to turn away two very little babies, one just 30 days old. 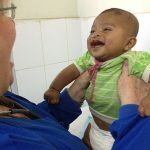 Although they did not receive the answer they wanted, Jan showed the moms how to feed their babies with a cleft lip and/or palate and asked to come back next year. With this type of knowledge and skill, their children have a better chance of thriving and they have hope that we can perform surgery on them next year. There have been so many highlights, wonderful moments, and just plain funny events. There are many things we see in the hospital here that one would probably (make that definitely) not see back in the states. The hospital does not have air conditioning, except in the operating rooms, so many windows are open and all kinds of flying things enter the building. We are greeted by some beautiful butterflies fluttering along the halls, crickets peeking out from corners, and of course flies-even in the or. Hospital laundry can be seen hanging to dry on clothes line on the roof. And many hospital workers go barefoot, even into the OR! We have delicious lunches made and packed by the staff at our guesthouse and there are wait staff in the “lounge” the make tea and coffee. The doctors here all have wait staff that deliver tea, water and meals . It’s very different that home and is rather hierarchical. There are always people sweeping the halls and walls throughout the day and night, otherwise the hospital would be coated in a light layer of bugs and such. Bangladeshi brooms are made of long grasses bound together. One of our nurses commented how nice it would be to take one home and hang on her wall. There have been a few minor crises, but nothing the collective genius of this group can’t tackle! Upon arriving at the hospital one day we found that the or surgery lights were not functioning. We put the word out that head lamps were needed and several of the team came through. 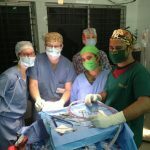 This was after we we devised a way we could duct tape a flashlights to each surgeon’s forehead! Fortunately after a few hours the lights were fixed and we were back in business. It’s been wonderful to witness the results of our gifted surgeon’s expertise. Babies and numerous adults have had their lives transformed and so many have expressed their gratitude with their smiling eyes and by placing their hands to their hearts. One young man in his early 20’s was accompanied by his best friend and together they traveled over 150 kilometers. The friend was so excited for this young man and could not contain his excitement. Another young woman had a severe facial cleft. She has never been to school, although has received her education at home, has no friends, and rarely has left her home in 22 yrs. Dr. Kofi said, “I really want to do this surgery for her.” He did and the results are amazing! It has been a great mission and what we have witnessed here make us greatly appreciate what we have back home.